Light, bright and airy cotton sheets and light bedspreads are perfect for the summer, but when late fall and winter weather sets in, it's time to change your bedding to fit the season. If you live in a climate where there is a dramatic temperature change in winter, your sheets and bedding should reflect these changes. Selecting the right bedding can mean the difference between feeling uncomfortable at night and getting a great night's sleep, and what works for you can vary quite a bit from season to season. A warm, soft goose down comforter isn't just for people living in the North or South Pole; down bedding comes in a variety of weights and sizes for any chilly climate. People love down because it is so lightweight and comfortable, while still being very effective at keeping you warm at night. When shopping for a down comforter for college, first measure your bed to see what size and coverage you will need. Add enough size in your calculations to make sure the comforter will hang from the sides and bottom of your bed to your liking. Choose the best color scheme to accent your dorm room to your tastes as well. As you're shopping, consider fill and baffle styles. 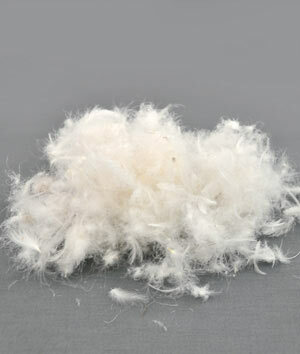 Fill or "fill power" is a term that describes the quality of down used in a comforter. A higher fill power indicates larger and stronger clusters of down filling. Large down clusters provide superior insulation and warmth. They also breathe better and last longer than smaller, more fragile clusters of down. To get the amount of warmth you need, choose your fill level accordingly. While most comforters and quilts are made by sewing a filler between two layers of fabric, down blankets and comforters include "baffles" -- sewn-in long channels or a grid pattern that keeps the down in place so that it stays evenly distributed. Fabric strips are sewn in between layers of fabric, and they keep the down clusters from shifting too much. Baffles also help to alleviate "cold spots" in the comforter. Down clusters may seem soft and fluffy, but they can easily poke or leak through any fabric that surrounds them. If possible, buy a cover with a high thread count, one that is tightly woven so it will provide leak-proof coverage. Grades of down can vary, so determine your budget first and then see what you can afford. The most expensive down products are made with pure, white, hypo-allergenic goose down. If your budget is limited, you might opt for a down blanket with less down, a lower grade of down, or down combined with feathers. Alternative fills to down can be both natural and man-made. Some people choose alternatives because they are allergic to goose down. Some natural alternative fills to down include buckwheat hull, silk, natural rubber, cotton, spun bamboo microfiber and a spun plant fiber fill like Tencel. Some manufacturers also have proprietary processes to treat down feathers by washing them and removing the allergens that can make down problematic for some individuals. As for synthetic alternatives to down, these can range from polyester products to microfiber, Dacron, extruded plastic, rubber and foam. Some man-made alternatives like Synthetic Down and Primaloft don't just seek to replace down; they also closely mimic its comfort, loft, long life and wonderful softness. Thread count is the first consideration for most sheets, and it refers to the number of threads woven into one square inch of fabric. 400 thread count is perceived to be the lowest threshold for quality sheets. "Fineness" and length of the fibers are also a factor, and they determine the softness of the fabric. These qualities are determined by the actual type of fiber -- for instance, either cotton, polyester or a hybrid blend of the two. The cotton plant produces long, fine fibers. 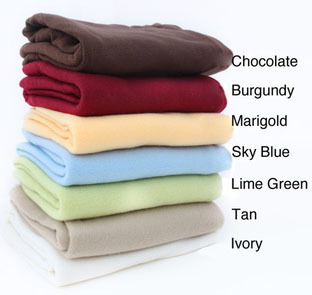 100% cotton sheets will retain warmth and will "wick" (pull away) excess moisture when wet. Cotton also stays cool to the touch, and, like many natural fibers, is resistant to static and "pilling" (i.e. forming little round fabric balls on the fabric surface.) Cotton is easily dyed but can fade rapidly in sunlight. High-quality cotton sheets are lightweight and soft, but expensive. Cotton sheets need to be laundered separately, no bleach. Cotton sheets are also prone to wrinkles and shrinking. Polyester is a synthetic fiber. It will not wrinkle or shrink, but will likely pill. It is color-fast and resistant to fading, but does not wick moisture very well. It loses warming ability when wet, but feels warmer to the touch when dry than cotton. These sheets are also less expensive than cotton or other natural fiber sheets. Blending these two fibers can result in the best of both worlds. 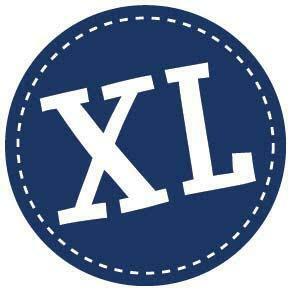 Cotton contributes its wicking ability, softness and coolness; polyester increases resistance to shrinking and wrinkles while giving strength and longevity to the fabric. The most common ratio is 35 to 40 percent polyester to 60 to 65 percent cotton. The warmth of flannel sheets features a wooly texture and create soft, comfortable, warm bedding. Cotton flannel sheets will warm up your bed during the winter months, but they still have the ability to wick moisture away from your skin as you sleep. 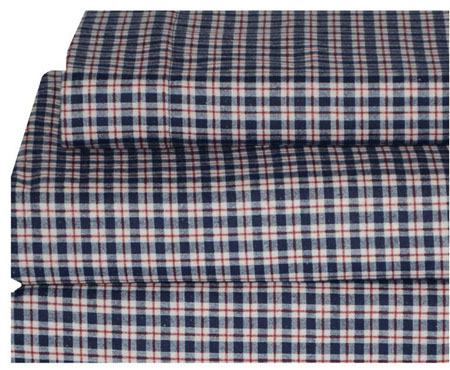 Lighter weight flannel sheets are available as an option as well. Instead of thread count, the weight of the flannel per-square-inch indicates the quality level of your flannel sheets. The average is 4 oz. 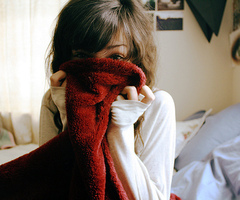 Heaver than that, sheets will be thicker and will also have a much softer feel or "nap." They will have a more luxurious feel to the touch, but will also be much warmer. As flannel weight increases, the fabric pile also gets thicker. Flannel pile can tend to "pill" more easily, so if that is an issue for you, stick with 4 oz. flannel. 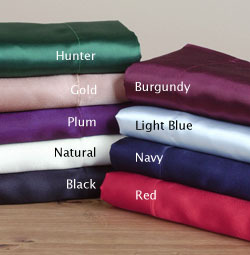 Ultimately, choosing the right winter sheets is a matter of personal preference. While flannel sheets and down comforters can feel really great in winter, some find that the temps in their dorm rooms stay pretty consistent year-round. If that's the case, a cotton or polyester sheet might work just fine for you. It's up to you to determine your budget and your preferences, then pick up the perfect sheets and comforters for every season. You spend a full one-third of your life between the sheets -- don't skimp on your bedding! I know down comforters are best way to keep you warm in a winter but choose a good down comforter can be tricky but in this article you will feel very easy to do this task!